The Anodized Oil Line Kit is a Conquest Customs specialty. 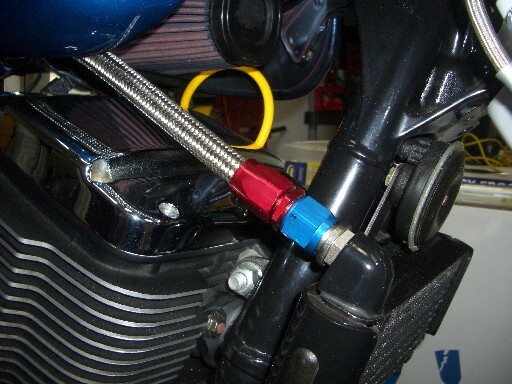 The Kit incorporates 8AN anodized hose fittings with #8 steel braided hose. 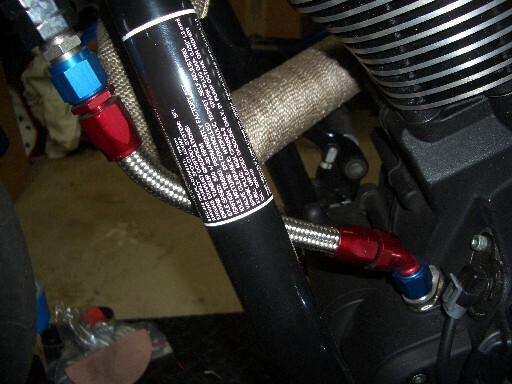 Case and cooler fittings are laser cut with heavy gauge flanges. We incorporate a 45* double swivel case fitting to replace the factory 45* at the return. I was rollin' stock lines since I bought my '06 8ball. 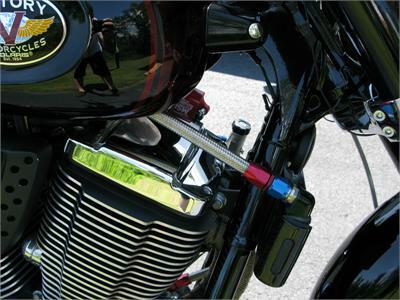 It was simple to install and really gave it that muscle-car look. Looks 1,000% better than the originals.